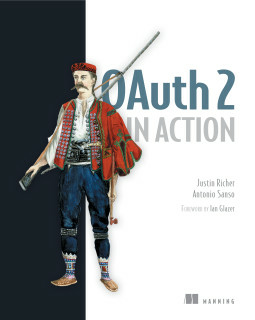 If you bought the book I have been writing with Justin Richer namely OAuth 2 in Action you might have noticed that we will never got tired to stress out how much important the redirect_uri is in the OAuth 2 universe. Failing to understand this (rather simple) concept might lead to disasters. The redirect_uri is really central in the two most common OAuth flows (authorization code and implicit grant). I have blogged about redirect_uri related vulnerability several times and both in OAuth client and OAuth server context. Developing an OAuth client is notoriously easier to develop compare to the server counter part. 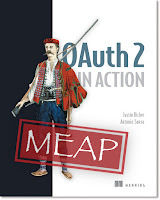 Said that the OAuth client implementer should still take care and master some concepts. or simply less formally "The registered redirect_uri must be as specific as it can be". If you wonder yourself why and you do not want to buy our book :p give a read at this blog post I wrote some time ago. This blog post describes a vulnerability I found in an integration between Google+ and Microsoft Live. In another blog post I described a quasi-vulnerability found in an integration between Google and Github. In that case Google was good enough to prevent the leakage of the authorization code since they cleaned the code part of the URI (namely the authorization code) before redirecting. The victim, clicking on the link, ends up to https://console.cloud.google.com/start/appengine?code=09a8363e37f1197dc5ad&amp;project=antoniosanso&amp;state=AFE_nuMqEhmFe6MswLJdRX785yLQSyscMQ&amp;authuser=0 that contained the authorization code. N.B. Github adopts the TOFU (Trust On First Use) approach for OAuth application. What Google did in order to not leak the Referrer (that would contain the code parameter with the authorization code: 09a8363e37f1197dc5ad ) is to add &lt;a rel="noreferrer target="_blank" &gt; that works well but is not supported by Internet Explorer (IE). In IE if the victim clicks that link it will leak the authorization code via the Referrer. What I suggested to Google via the Vulnerability Reward Program (VRP) is to register a more specific redirect_uri a lâ https://console.cloud.google.com/project/. This will kill the attack also for the IE users. without the knowledge of the client_secret the attacker can trade the stolen authorization code for an access token. ...ensure that the "redirect_uri" parameter is present if the "redirect_uri" parameter was included in the initial authorization request as described in Section 4.1.1, and if included ensure that their values are identical. I would also take the chance to thank once more the Goolge Security team. Kudos.